Thousands of padlocks that couples have hung to symbolize their love will be removed from the Pont des Arts bridge. PARIS — Lovers in Paris, beware: City authorities are taking down thousands of padlocks affixed to the famed Pont des Arts bridge. 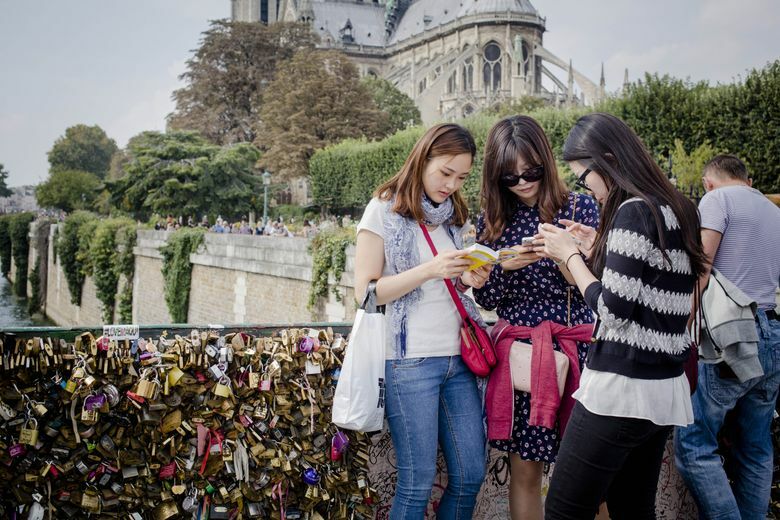 The city says the locks, usually hung by couples to express eternal love, are causing long-term damage to Paris heritage sites. Last summer a chunk of fencing fell off under their weight. Authorities began dismantling the metal grills along the sides of the bridge Monday and plan to remove 45 tons of padlocks in all. Some residents had campaigned against the locks, which started appearing about a decade ago and now cover sites across the French capital. 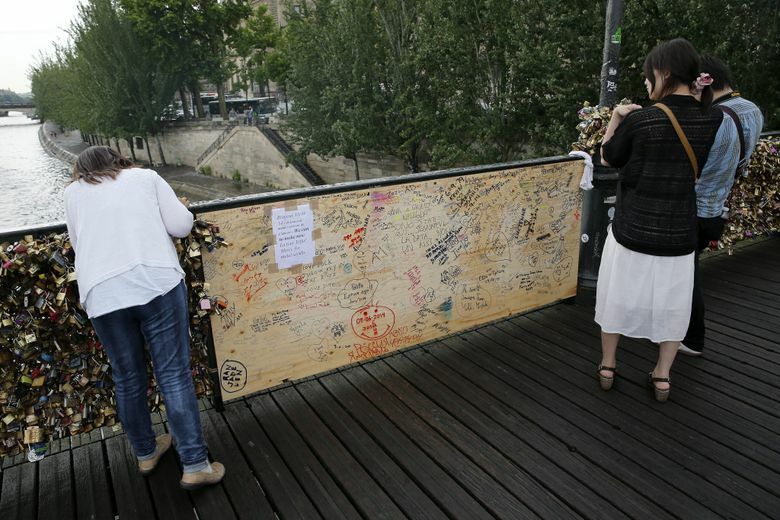 The Pont des Arts bridge will soon have padlock-proof plexiglass panels instead, while the city explores other ways for Paris visitors to express their “amour,” including street art on the subject.